It is the end of the road for another heartless human. A notorious kidnapper who together with his gang abducted a Delta State lawmaker, Hon. 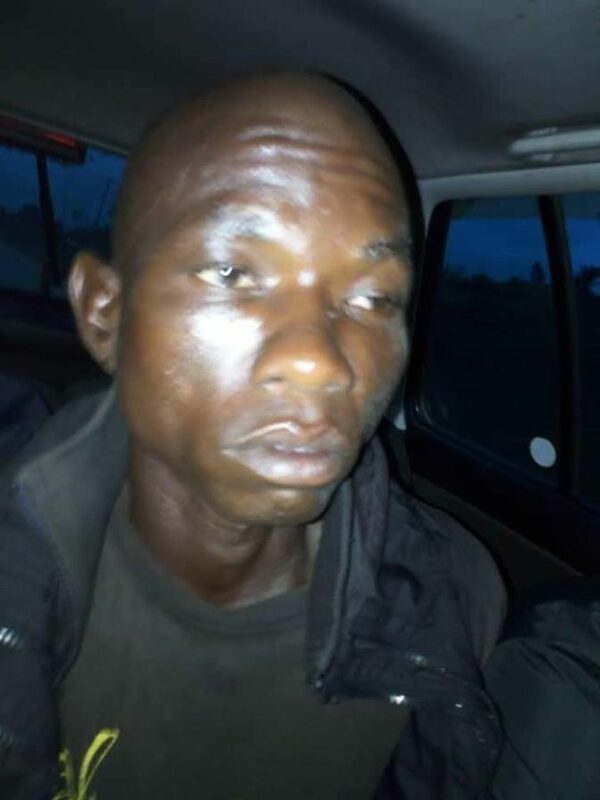 Onose Onakpoma on March 31, 2018 and hid him in a forest in Okurekpo, Ethiope East area of the state before shooting him to death inside the hideout has been arrested. According to National Helm, the notorious gang leader identified as Omote Eboh has been on the run despite the arrest and detention of his wife after leading a team to the scene in the thick forest to recover the remains of Hon Onokpoma on May 11, 2018. Most of the perpetrators of the heinous crime have been apprehended including those who aided the escape of the leader, Omote Eboh. 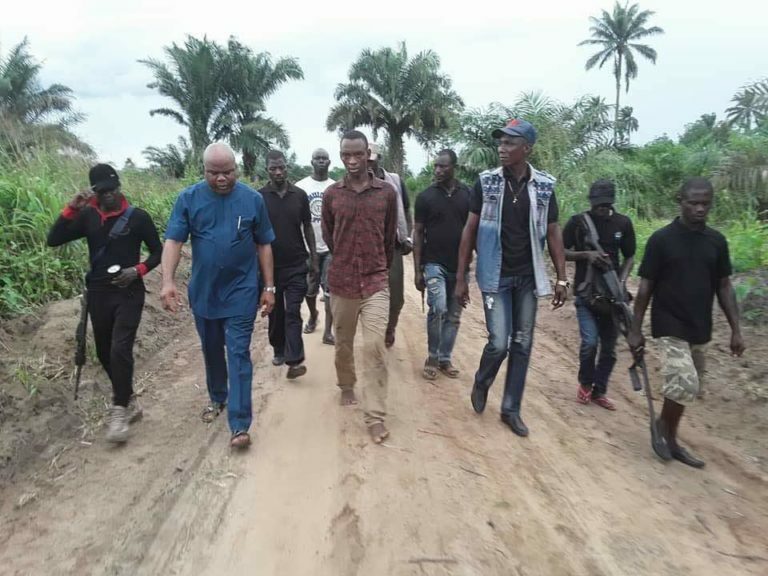 The team led by the Vigilantes Group of Nigeria, Okpara Inland – trailed Mr. Omote Eboh yesterday to the village in Benin, Edo state where he has been hiding and was captured like a goat. The Omote Eboh, a kidnap-for-ransom network in the thick forest between Okurekpo and Okuekpagha boundary (Omue’ te’te) carried out a major robbery operation on 31st March, 2018 where they robbed over 20 people including Hon. Onose Onakpoma and there after kidnapped him and hauled him to the thick forest where he was promptly killed before the kidnappers called to pick up a ransom of N500,000.00 and thereafter vanished into the thin air with no trace of Hon. Onakpoma and a little or no trace of the Kidnappers. Hon Onakpoma’s remains are in the Eku Baptist Government Hospital morgue while officials are preparing legal documents to release the body to the family. The robbery/kidnap gang had carried out their robbery operation at Okorore near Eku on 31st March 2018 were they robbed over 15 people including a couple who were rushing their 8 years seriously sick son to the hospital at about 5.30am and despite the couple appeal to the robbers| Kidnappers to have mercy and compassion on them to release them to enable them rush their sick son to the Eku Baptist Government Hospital, the heartless gang refused and held them for over an hour until their son died there. The Police Anti Kidnapping squad had to step up operations against the gang and worked tirelessly with Hon. Evance Ivwurie, a the member representing Ethiope East State Constituency in the Delta State House of Assembly – who provided the courageous leadership.